Get the whole package. A full week of guiding, tuition, instruction. Staying in a catered chalet and spending the days developing skills, knowledge, confidence and ability. Live a life more zesty…. 5 full days off piste tuition. Training on how and when to use the safety equipment. Return transfers from the airport. 7 nights stay in the chalet – based on twin rooms. Cooked or continental breakfast on 6 mornings. Delicious afternoon tea after skiing each day. 4 course evening meal with wine on 6 nights. Lifts to and from the slopes each day. 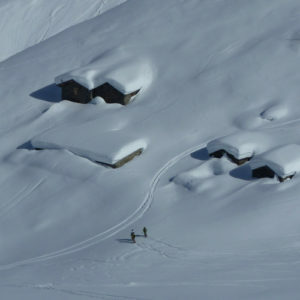 Accommodation is provided courtesy of Ski Hame in Les Allues which is 7 minute drive from Meribel centre. But also regularly skiable in good conditions. This is a 5 day course running from Sunday to Thursday. The course is designed to be an introduction to off-piste skiing. 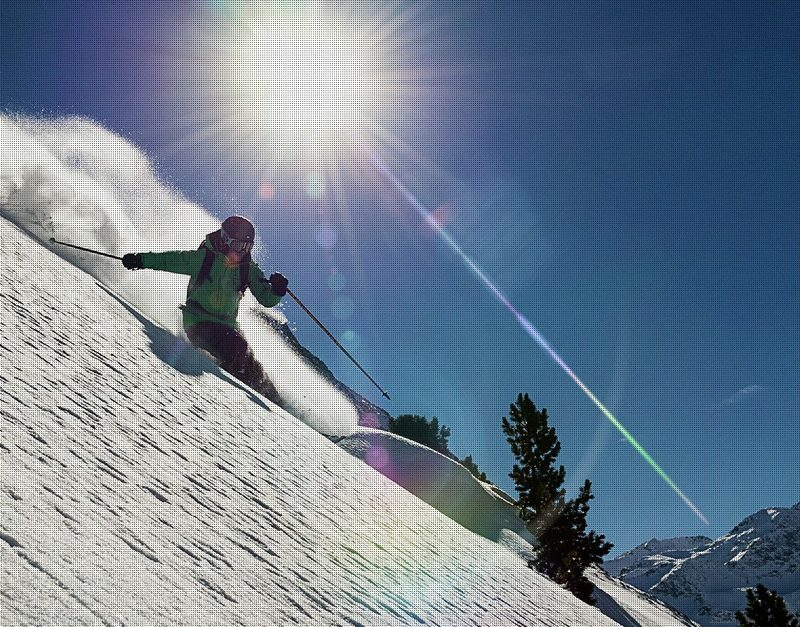 ** We will start the week making sure we have some of the good technique on the piste then gradually start dipping our toes further and further off the sides – each day building on our technique, our confidence and ability. 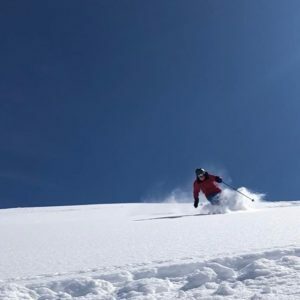 Each day we will endeavor to take on some new snow, terrain and use new or developed skills that will put you on the road to confidently skiing away from the pistes. **please note we do run alternative courses through the season if this is not quite for you. The course before the Introduction to Off-Piste would be the All Mountain course. This is a week where we make the most of whatever snow lies on the ground before us but is a great way to gain confidence skiing terrain other than the smooth pistes. Getting used to different terrain, steepnesses and different snow types too. This would then lead nicely into the Introduction to Off-Piste. 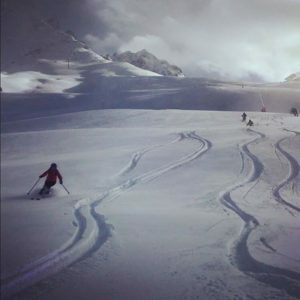 Similarly if you already feel confident in your ability to ski gentle off-piste and you have already had a good introduction to this work then the next course for you may be the 3 Valley Off-Piste Explorer. For the week we will provide any safety equipment that is required. We will also teach and train you how to use everything. For a more in depth description please read a our blog post in The Daily Spread or email info@skimarmalade.com for more information. The small print – please note we need a minimum of 2 to make these groups run.